Free video reveals how to safely evoke fantasy into your sensual life. In your fantasy life you can create anything you want. Your mind is fertile ground for passionate exploration. This is Deborah Bennett, the winemaker at www.cerridwenwines dot com on Sonoma Mountain in California. 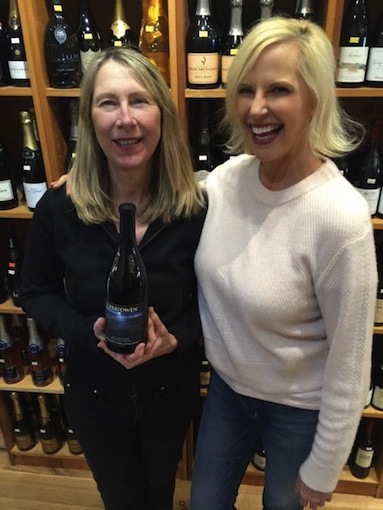 I am posing with her for this photo in a wine shop in my small town of Mill Valley. Deborah makes Pinot Noir, a Red Wine and a rare Abouriou she calls, Moonlight Sonata. 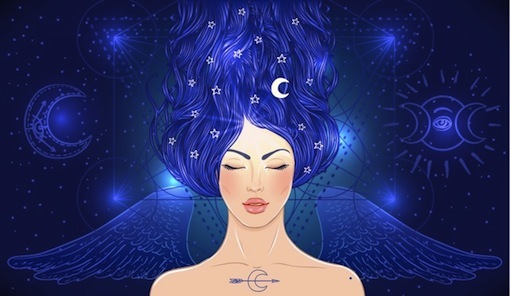 She picked her grapes by the light of the September full moon and imbues her wines with the mystical powers of Cerridwen, the Celtic Moon Goddess. Deborah is a beautiful example of a woman who brings her fantasies to her work as a wine maker. What would it be like if the next time you made love, you assumed the character of an empowered goddess? How would she act? What pleasuring skills would she bring to the bedroom? I leave you with your fantasies… now go watch the video. Knowing how to elicit fantasy play with your lover can exponentially increase the fun and joy you have together. But also knowing the safe agreements, boundaries and “rules of engagement” put you a solid foundation so the sky is the limit. Safe Fantasy Sharing <=== What Are Your Deepest Desires?